The mixed-use Logan's Crossing project is officially underway at the former site of Logan's Square Mega Mall according to Chicago Curbed. This project will replace the colorful indoor market with a pair of new buildings connected by an elevated skybridge. They will provide a total of 220 apartments, 110 indoor parking spaces and 62,000 square feet of ground floor commercial space. An earlier plan had depicted an XSport Fitness, Starbucks and Jewel-Osco as retail tenants and also a small format Target plus restaurants, health and wellness tenants, a bank, a pet store and a coffee shop. Per The Real Deal, Target will open in a 27,400 square foot space in the building planned for the southwest corner of Sacramento and Milwaukee Avenues. XSport Fitness was going to open a 40,000 square foot store on the ground floor along with Jewel-Osco grocery store, but that deal fell through last year. Per Chicago Curbed, the project will offer all the conveniences found in newer downtown rental buildings such as a pool deck, bocce ball court, coffee bar, fire pit, dog run, co-working space and a 125 spot bike room. Rental prices have still not been released but will closely be in line with River North rather than Logan Square. The Mega Mall redevelopment has become symbolic of the rapid transition of this neighborhood. Fifield Realty Corporation and Terraco Real Estate are the co-developers for this project. The first residents are expected in November 2019 and the new Target store should open the following summer. Work is also underway in Logan Square on the John Pennycuff Memorial Apartments which are replacing the former Congress Pizzeria building at the northeast corner of Milwaukee and Campbell Avenues. This development will bring new ground floor retail, 18 parking spaces and 88 LGBTQ-friendly affordable rate housing. According to The Real Deal, Fifield Companies has ensured a $67.5 million construction loan from Fifth Third Bank for the seven story development about a week after the ground breaking took place. Fifield last week paid $13.56 million to acquire the property from Terraco and Marc Realty, who had jointly bought the property from Kyun Hee Park for $8.9 million in September 2014. This includes $3 million in reimbursements to the two companies for architectural and engineering work in getting the project to this phase. This leaves the underlying land cost to $10.5 million according to Steven Fifield. Fifield plans to announce a new round of commercial tenants this fall and Marc Offit of Sierra is the lead broker for the rest of the retail space available. 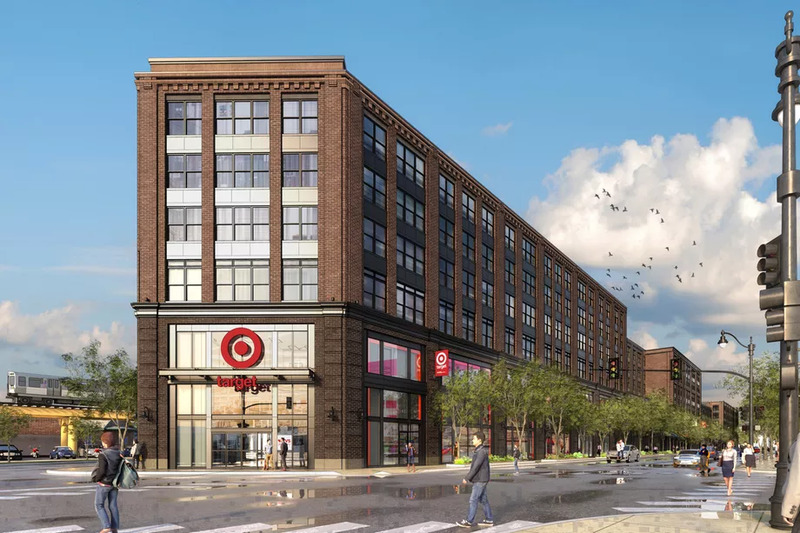 Per the Chicago Streets Blog, this is probably one of the largest developments for the city's Northwest Side and will in all likelihood, have a major impact on Milwaukee Avenue and Logan Square. It's also likely that the hundreds of new residents will continue to push the limits of the already crowded transit line.